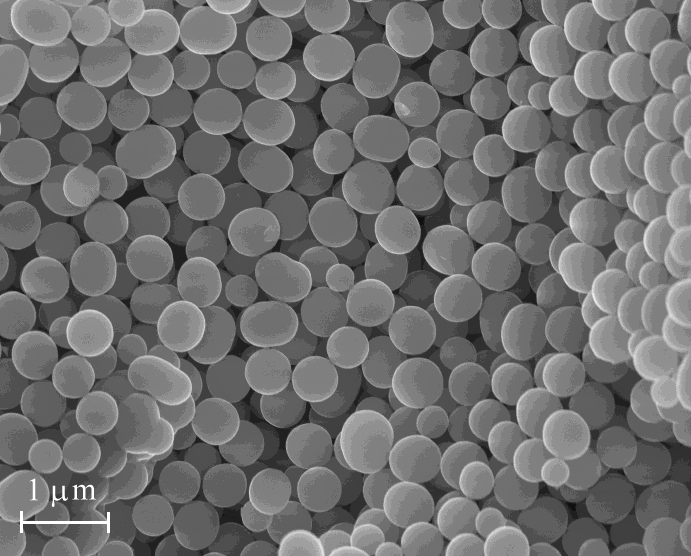 Optical and SEM Images of silica [SiO2] polymorphs (and varieties). 1. Doubly-terminated, trigonal quartz crystals which grew on goethite [FeO(OH)] crystals in a geode from Chihuahua, Mexico. 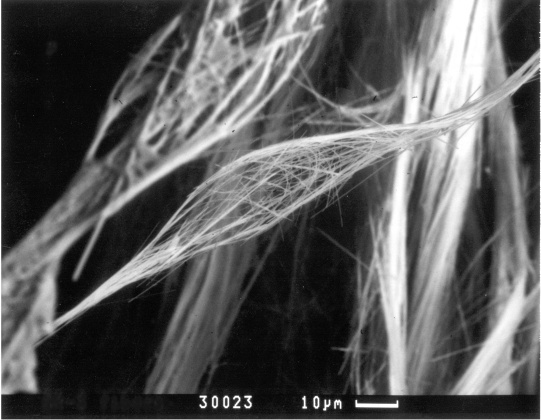 SEM image. 2. 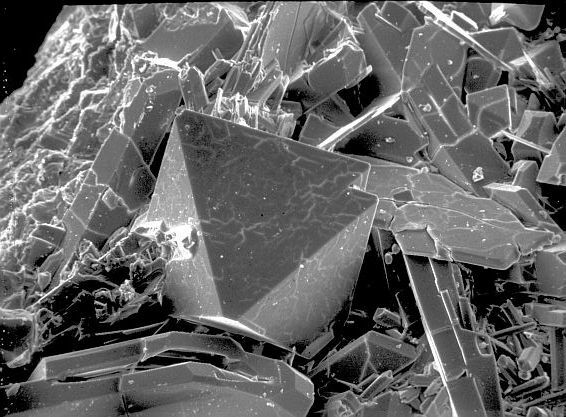 Octahedral cristobalite crystal from Mayen, Eifel, Germany; seen in a scanning electron microscope image at 125x. 3. 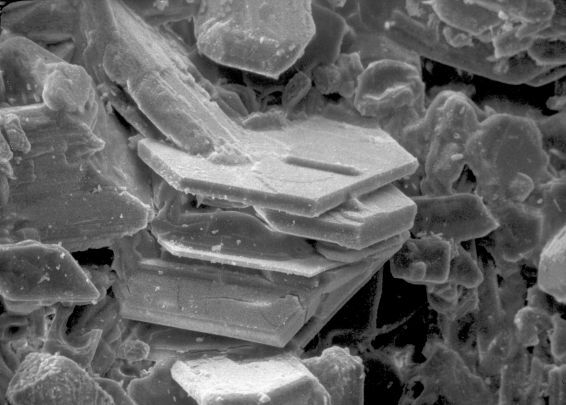 Hexagonal tridymite crystals from Lemolo Lake, Douglas County, Oregon, USA; SEM image at 620x. 4. Gem quality opal from Australia. SEM Image of the opal. Compare near-gem quality opal and gem-quality fire opal (100,000 x magnification) from (dry) Lake Tecopa, Inyo County, California, USA; SEM images courtesy of Ma Chi. 5 Cubic melanophlogite from Mount Hamilton, California. 6 Massive, pale purple moganite from Playa Del Cura, Gran Canaria. Sample courtesy of P Heaney. 7 Beta-quartz (now converted to the low temperature form, alpha-quartz) from the Bishop Tuff, California, showing hexagonal bipyrimadal shape. 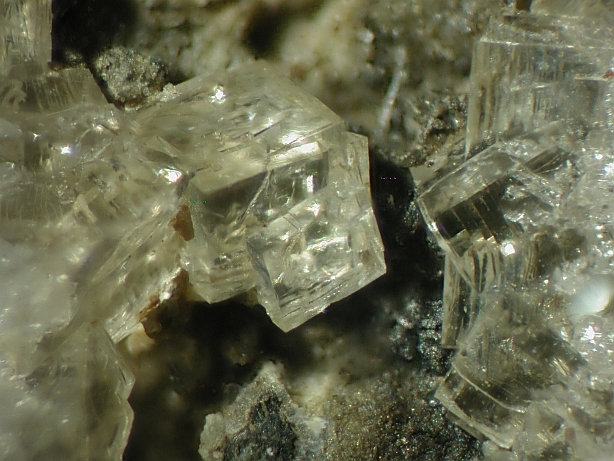 8 Coesite (in the process of reverting to alpha-quartz at the edges of the grain) from the Roberts Victor mine, South Africa. 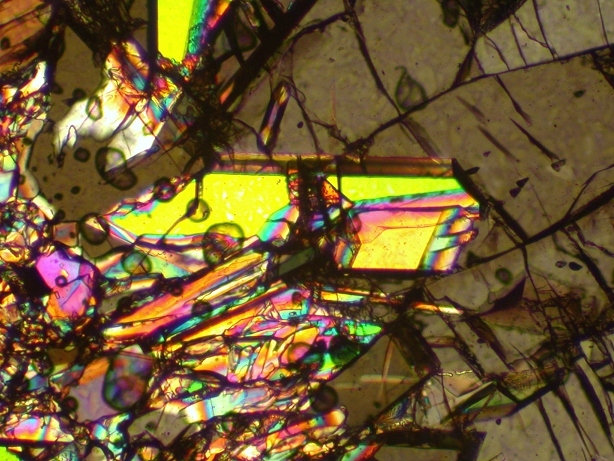 In thin section between crossed polarizers. Sample courtesy of J Smyth. 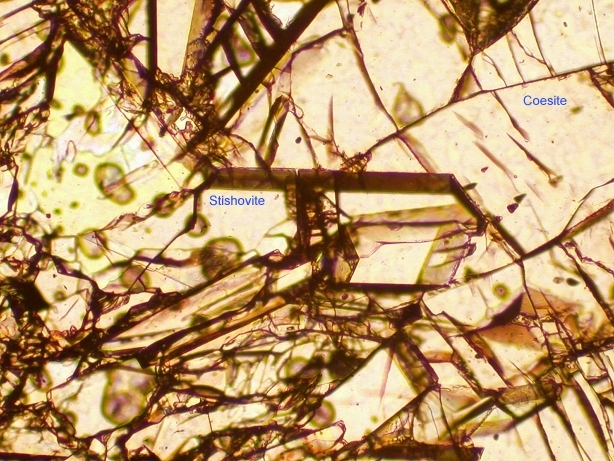 9 Stishovite, synthetic crystal in the center of the image with adjacent coesite to the right of the stishovite. Stishovite has a high birefreingence and shows high orders of interference colors when illuminated between crossed polarizers. Sample courtesy of J Mosenfelder. 10 High-pressure, synthetic phase with density 4.26 g/cm3 and space group Pbcn reported by Luo S-N et al. (American Mineralogist 2004). Video photo taken in a Raman spectrometer on the spot used for the publication. Photo courtesy of O Tschauner. 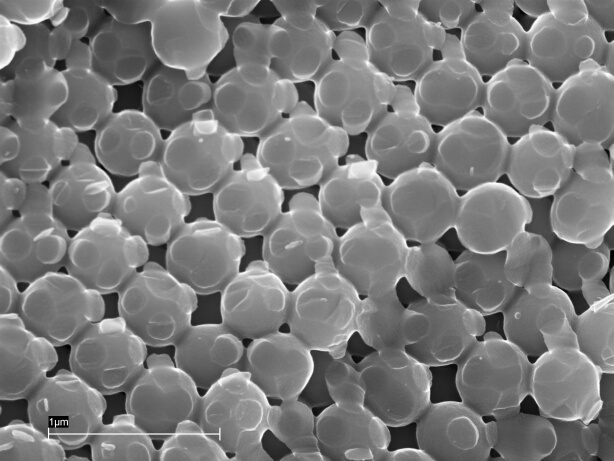 12 A transmission electron microscope image of a nano-scale precipitate of the low-density polymorph, keatite (also known as the synthetic material, silica K) that takes the negative shape of the host diopside. 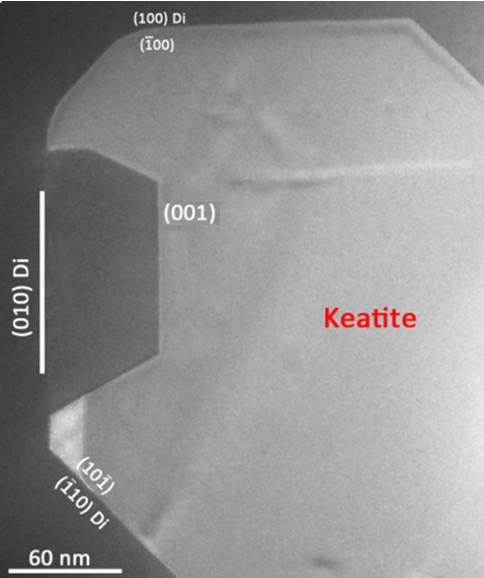 The keatite is found in some of the micrometer to sub-micrometer precipitates seen in the optical image of the core of the clinopyroxene, diopside, exhumed from an ultrahigh-pressure occurrence in the Kokchetav Massif, Kazakhstan, as reported by Hill et al. 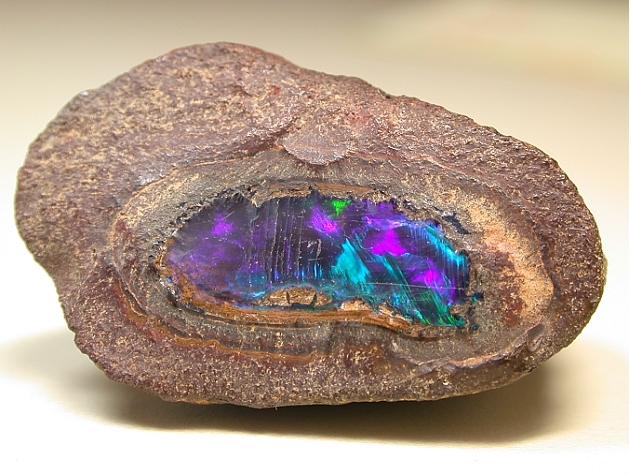 (American Mineralogist 2013). Photos courtesy of Huifang Xu. 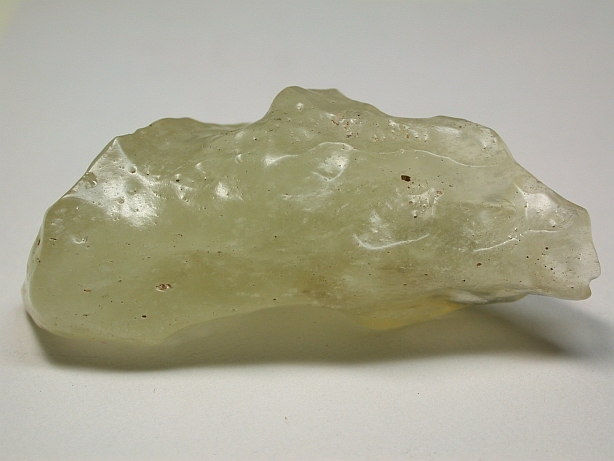 13 Fused silica, Libyan desert glass is a silica glass generally believed to be formed by the impact of a meteorite in the Libyan desert. High-silica sands are thought to have been melted by the force of the impact. Sample courtesy of M Marinova. 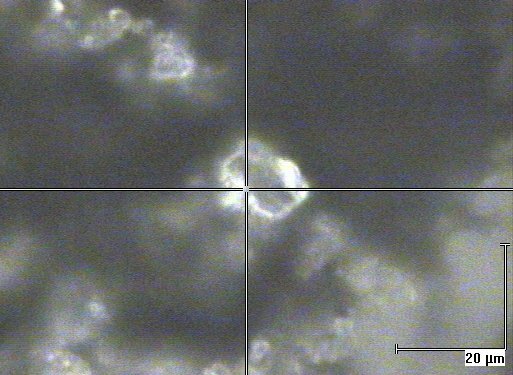 15 Chibaite, a cubic silica clathrate of formula SiO2·n(CH4, C2H6, C3H8, C4H10); a link to pictures of chibaite at JP-Minerals. 1 Agate, Ametista do Sul, Rio Grande do Sul, Brazil. 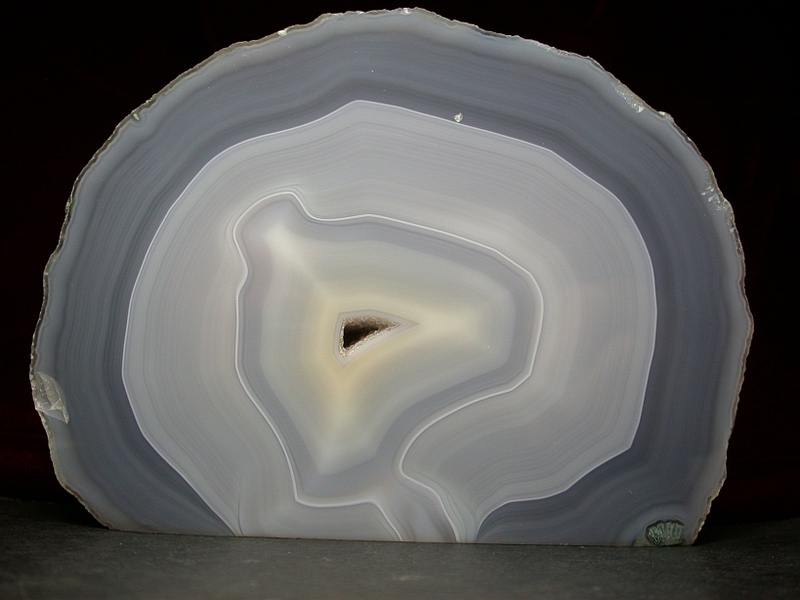 A 14 cm wide agate in its natural, undyed state. 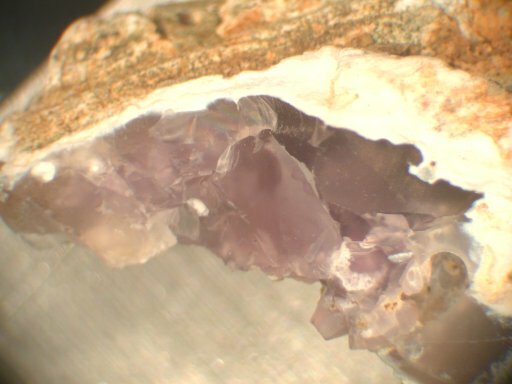 Agates usually consist of chalcedony, the fibrous variety of quartz, and moganite. In this case, there are quartz crystals in the center. Sample courtesy of R Currier. 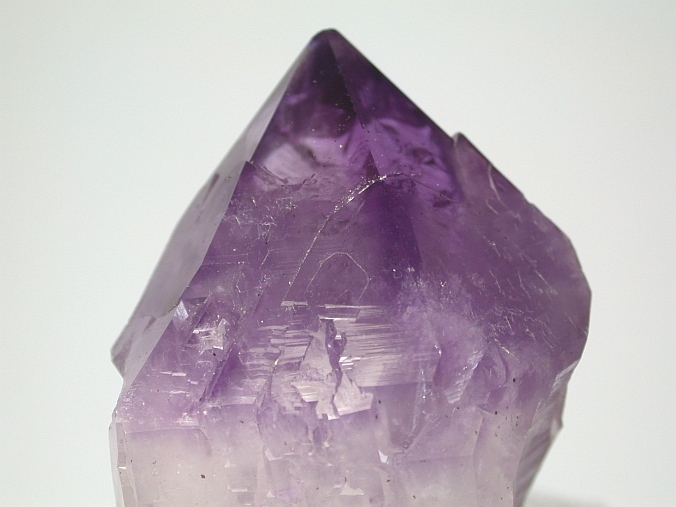 2 Amethyst from Ametista do Sul, Rio Grande do Sul, Brazil. This 4 cm wide crystal occur in geodes in a massive basalt flow. The color is due to iron ions in the quartz that have been irradiated by natural radiation. 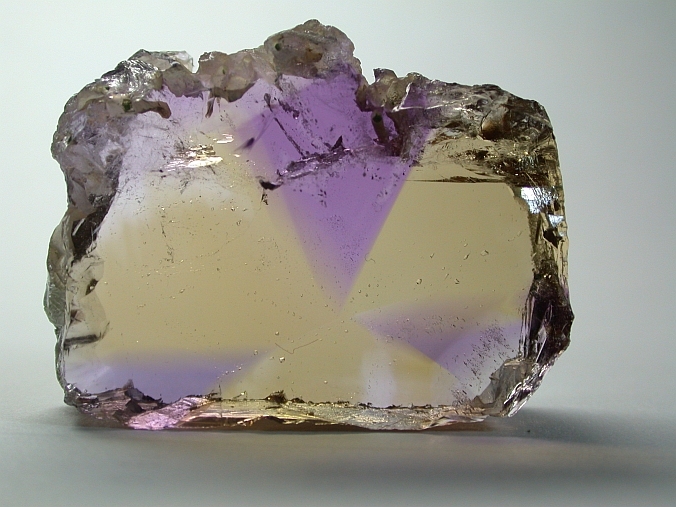 3 Ametrine from the Anahí Mine, Bolivia, when broken up shows both citrine and amethyst poritions that are best seen in slices. 4 Blue quartz from near Syria, Madison Co, Virginia, USA. 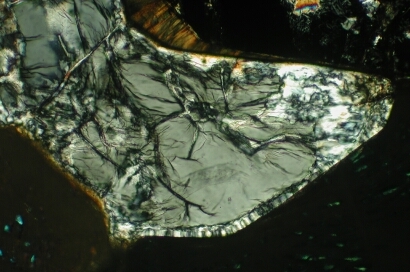 This 5 cm wide mass is colored by sub-microscopic inclusions of both rutile and ilmenite. 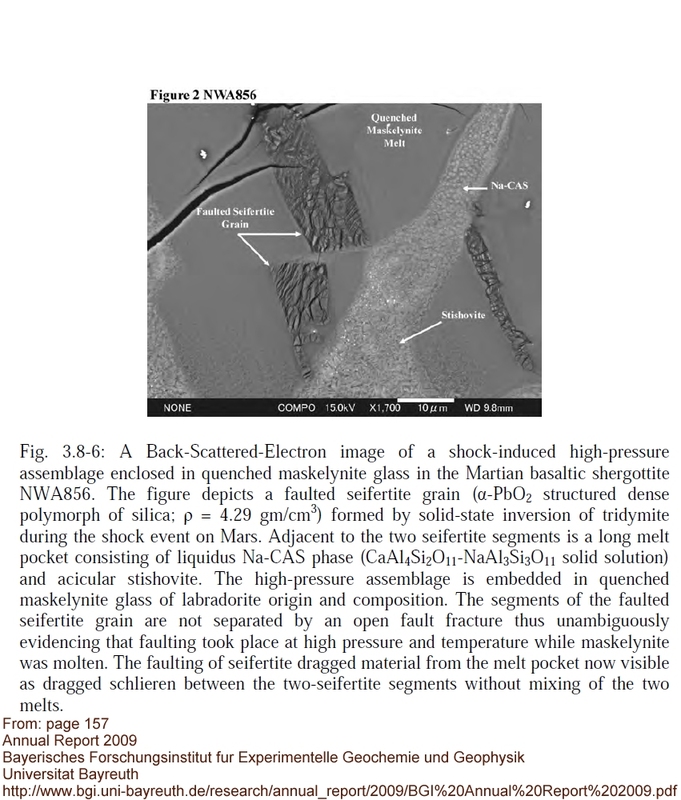 Sample courtesy of D Lipscomb; TEM image courtesy of Ma Chi. 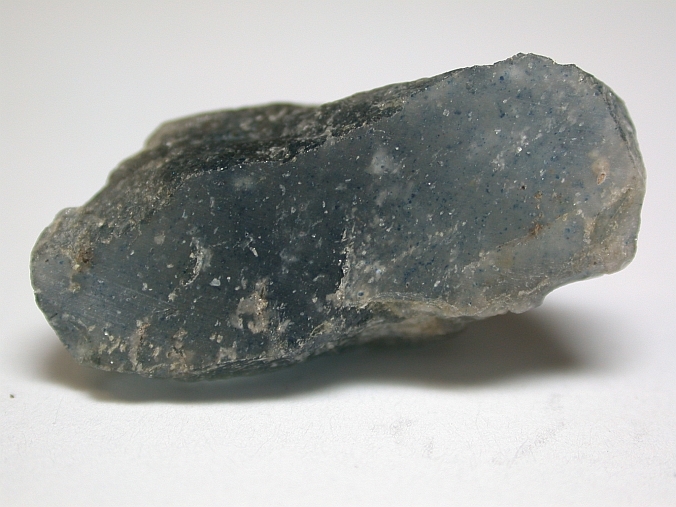 5 Blue quartz from Magadascar is colored by small inclusions of a magnesium iron phosphate in the lazulite-scorzalite series. 6 Rose quartz from the Scott Mine in South Dakota. 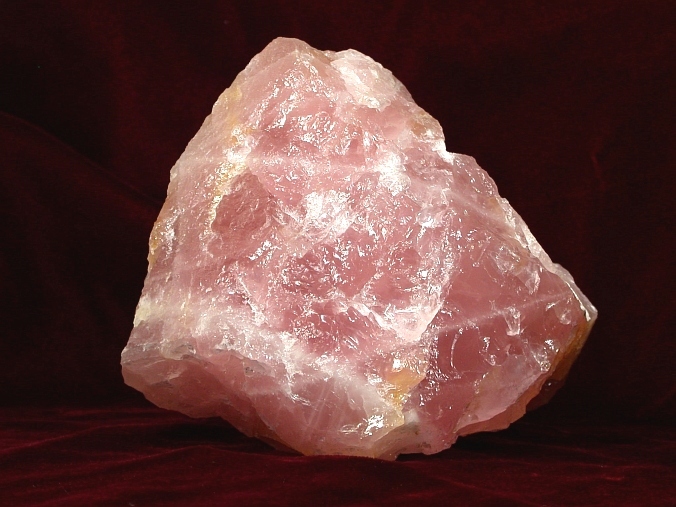 This 11 cm wide mass of rose quartz occurs in massive veins. The color is not from the quartz, itself, but rather from minute fibers of an aluminoborosilicate. 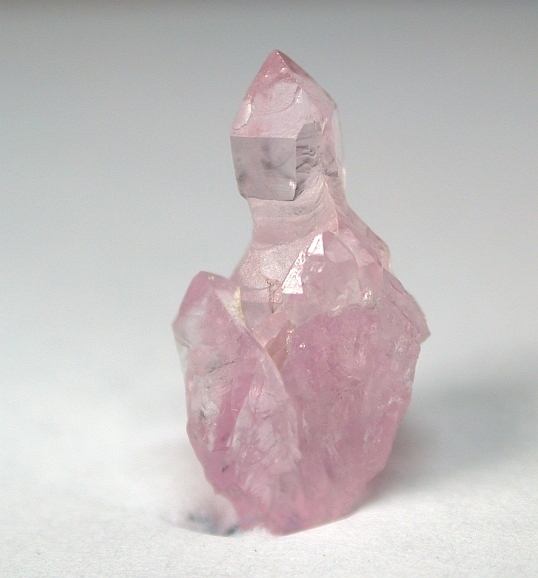 7 Pink quartz occurs as transparent crystals at Mt Mica, Maine. This 15 mm high crystal is often called rose quartz, but its mechanism of color is completely different from classical, massive, vein rose quartz. A small amount of coupled substitution of aluminum and phosphorous for silicon followed by natural irradiation is believed to cause the color. 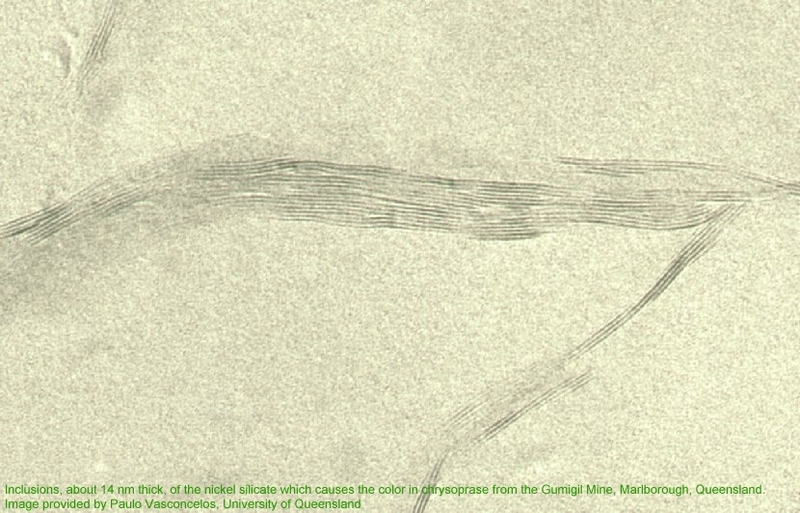 It is found only at a small number of localities including in pegmatites near Galiléia, Minas Gerais, Brazil. Sample courtesy of G Freeman. 8 Green quartz from Coos County, New Hamphsire, is an uncommon variety. 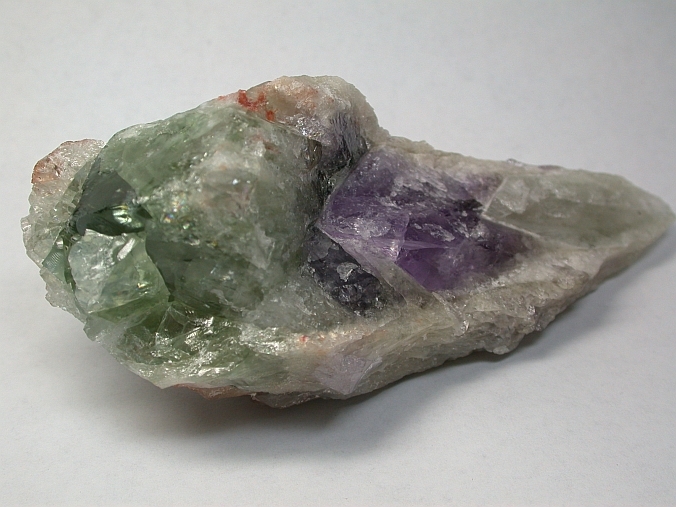 This 12.7 cm long crystal represents a particular type of green quartz that is associated with amethyst and forms from natural irradiation. 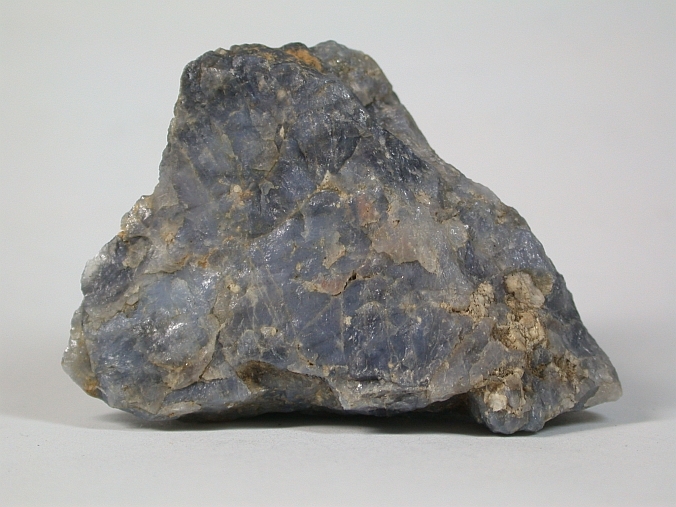 Sample courtesy of the Harvard Mineralogical Museum. Short movie of crystal's rotation. 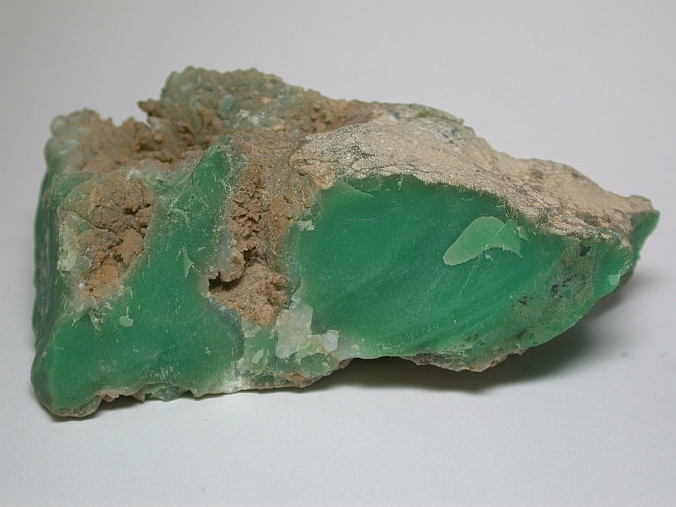 9 Green chrysoprase from Marlborough, Queensland, Australia. 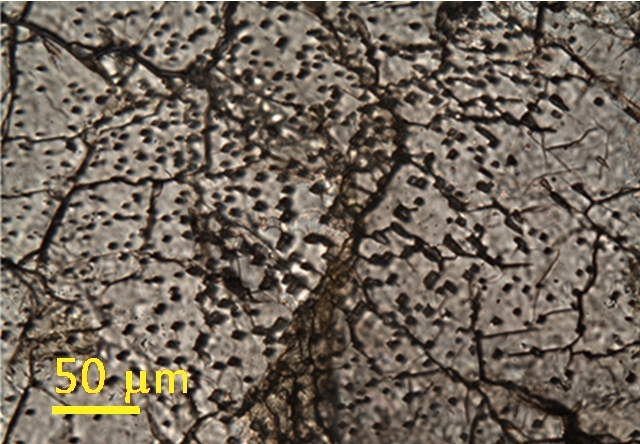 This 8.5 cm wide mass of polycrystalline, fine-grained silica owes its color to minute inclusions of nickel-containing layer silicate minerals. 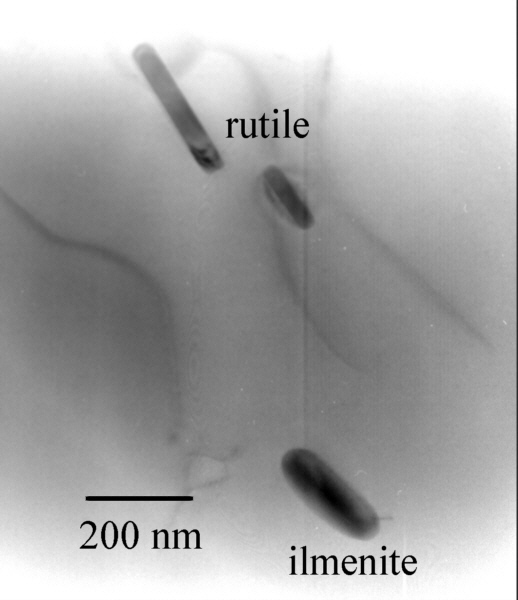 One such phase, seen in a TEM image, is willemseite, a nickel-containing member of the talc family. Sample courtesy of the American Museum of Natural History. 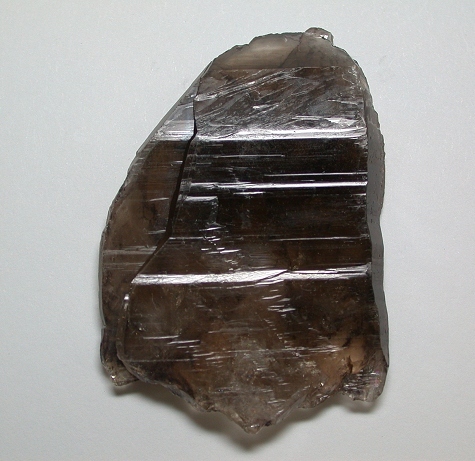 10 Smoky quartz from Colorado. 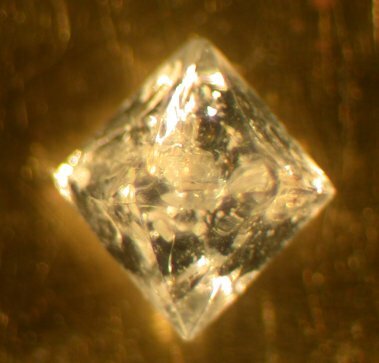 This 6 cm high crystal owes its color to natural gamma irradiation that strips an electron from an AlO4 group that substitutes for SiO4 in the quartz structure.